THEN the shop will invest 103% !! of the turnover on the mobbing day in energy efficiency measures. 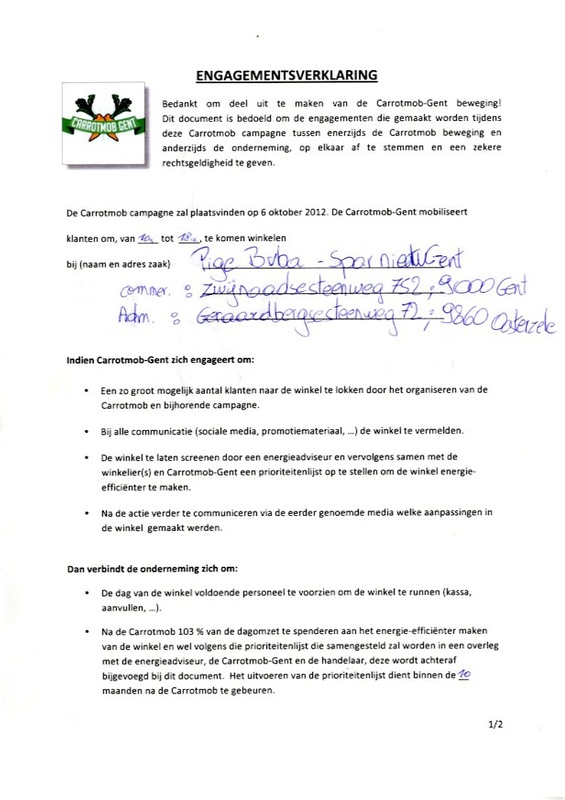 'Carrotmob Gent' grew straight out of the heart of the climate treaty of the City of Ghent. Ghent wants to become climate neutral by 2050. Therefor an urgent wake-up call is necessary. We will eco-pimp a chosen supermarket (16 were invited) by trying to buy it empty next october 6! There will be a close link to fair-trade. 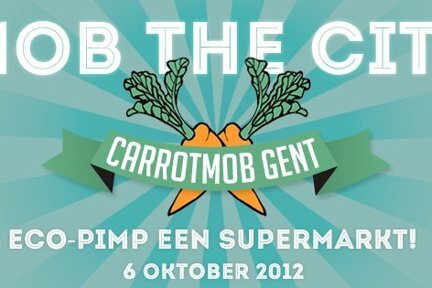 The Carrotmob takes place in the fair-trade week in Belgium. We will therefor promote the fair-trade products available in the shop.